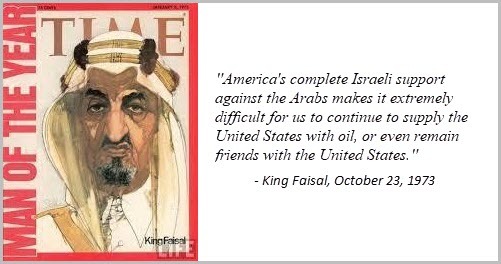 “America's complete Israeli support against the Arabs makes it extremely difficult for us to continue to supply the United States with oil, or even remain friends with the United States." The price of oil quadrupled in short order, a few months. The oil shortage in America was managed by gasoline rationing by President Nixon. Drivers could buy gasoline on “odd” or “even” days, depending on the last digit of their license plate. There was also a maximum dollar amount set on purchases of $10. Motorists often had to wait in line for an hour to buy gas. 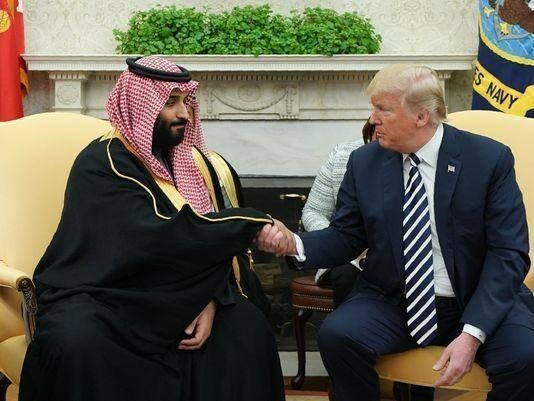 Major uncertainties loom toward the end of the year when sanctions are currently scheduled to go into effect by the U.S. regarding Iran. The range of potential outcomes is large, as it is possible that a deal may be reached with Iran which avoids sanctions (Iranian President Hassan Rouhani in a speech Sunday did not rule out peace between the U.S. and Iran), or Iran increases its exports to China and India, offsetting decreases to European countries. But the base case should assume some loss, on the order of 600,000 b/d. But Iran’s production is not the only risk. Venezuela’s production is in a meltdown and production may drop to just one million barrels per day by the end of the year. Whether it could stabilize at that level is an open question and is sure to provide a risk premium to oil futures prices. According to the Energy Information Administration (EIA), world oil production will exceed demand for much of the balance of 2018, and therefore global OECD oil inventories are projected to rise. Specifically, the EIA estimates that OECD inventories bottomed at the end of March at 2.784 million barrels (mmb) and will rise by 80 mmb through year-end, up 26 mmb from December 2017. And its projections through 2019 show another net stock gain of 34 mmb to end the year at 2.898 mmb. The DOE forecasts for 2018 and 2019 are based on dramatically different seasonal stock changes that occurred in 2017. OECD stocks fell by over 147 mmb from August through December, according to the latest estimates. But in 2018, it is predicting a net stock build over those same months.